Bristol zoo is running an arachnophobia course to help people to enjoy all of their animals, not just the cute and fluffy ones. Through a combination of discussion, hypnotherapy and education they hope to help people to understand spiders better. The education section from Bristol Zoo Gardens blame the media for often portraying spiders as being “sinister”. The fear of spiders can often be compounded by the media but the fear is usually present in people from a very young age and is often a learned fear that has been passed down from the previous generation, usually the mother. The course helps people to regain control of their irrational fears and the courses have been very popular. Are You Willing To Die For Your Weight Loss Tablets? Orlistat is a drug that stops fat being absorbed by the gut and is instead excreted and is also known by various other names around the world including Alli and Xenical and has been linked to four suspected cases of “serious liver toxicity”, one of which was fatal according to the European Medicines Agency. Since other anti-obesity drugs rimonabant (Acomplia) and sibutramine (Reductil) have been withdrawn from the market because of the links to potential heart attacks and strokes it has been Orlistst that has accounted for over 70% of the 1.45 million weight loss tablet prescriptions in the UK. This is the second time these anti-obesity drugs have been looked at by the EMA in relation to liver damage and it could result in a change to their licence or even being withdrawn from the market. These weight loss tablets can be very appealing to many people who are overweight and who want to lose weight ‘easily’ but would you be willing to take these kinds of tablets if there was a chance they could kill you? Are The Weight Loss Medication Risks Really Worth It? Popping a tablet to reduce fat absorbtion is seen as a solution by many GP’s and over weight people to the obesity epidemic but is it really? It is highly likely that many of the people taking these drugs will continue to eat an unbalanced and unhealthy diet because they think that a daily tablet is doing all the weight loss work for them. It is a lot more effective to change your relationship with food. If you think differently about food, it’s physical and emotional impact on you and how you feel about yourself then it is possible that you will be able to eat better, feel more positive about yourself and feel empowered to make the changes that you desire. This is possible when you use hypnotherapy rather than fat blocking medication that could cause serious liver damage. 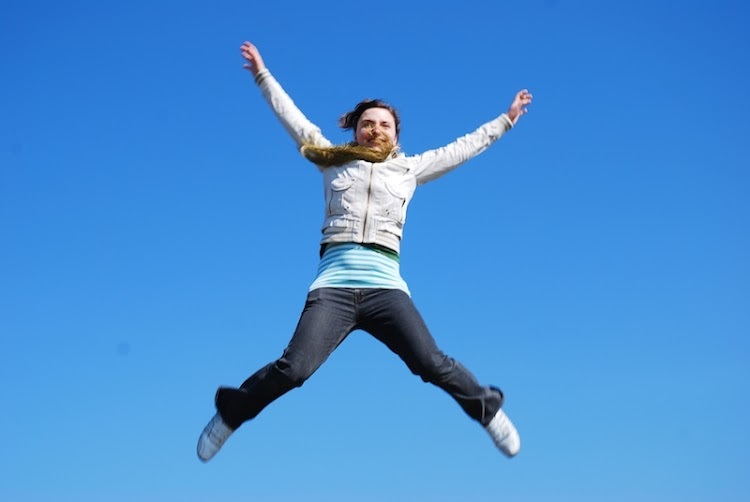 Hypnotherapy to lose weight works with your mind AND your body and is side effect free. As a result of changing your relationship with food you can think and feel differently and this can result in weight loss. https://sheffield-hypnosis.co.uk/wp-content/uploads/2011/09/small-blue-tablets.jpeg 171 200 Richard Hennessy https://sheffield-hypnosis.co.uk/wp-content/uploads/2014/06/focused-hypnosis-logo-340px.png Richard Hennessy2011-09-23 17:19:032017-03-07 22:31:06Could Your Weight Loss Medication Kill You? McDonald’s have agreed that the number of calories in their products will be listed on menu boards in all its 1,200 outlets from this Sunday. They have been working with the government who are very concerned about obesity within the UK population. McDonald’s have agreed to remove artificial trans-fats from their produce but refused to lower the salt content of their produce. The government has been “talking” to McDonalds as well as other high street food outlets including KFC, Pizza Hut and Starbucks to try and find a way to be seen to be doing something about the free availability of potentially damaging foods. Are Fast Food Companies Just Protecting Their Interests? The problem is that these types of business employ a large number of people and contribute a large amount of money to the economy. These fast food and drink outlets also spend a large amount of money lobbying the government to protect their interests. By reducing the fat/salt/sugar content of their produce and by making the calorie content of the items more freely available the government hope it will make a difference to the obesity levels of the UK. The fast food and drink outlets want as few changes as possible but still want to be seen to be caring and concerned. This has resulted in the government not making the radical changes many say are necessary to have any impact on obesity levels and has also resulted in the fast food and drink companies making small changes here and there but trying to steer change away from dramatic intervention in the form of laws. Do Fast Food Companies Want You Well Informed? In my opinion without a dramatic change in how people live and what they eat the obesity epidemic will only get worse. By allowing the producers of the types of food and drink that can have a big impact on weight gain (if they are not part of a balanced lifestyle) to retain the control over what is done it leaves the door open to abuse as well as slow and inconsequential change. These businesses do not want their customers to live healthy and active lives. They don’t want their customers to know exactly what is in their products. They don’t want their customers to be educated about how too much of their product could shorten lives. The fast food and drink companies have a vested interest in maintaining the status quo so without dramatic government intervention, they will continue to do the very bare minimum to educate and inform their customers. If you feel that you eat too much fast food but just can’t stop hypnotherapy could help you to change your relationship with food. Relaxation is something we all need more of in our lives but so few of us actually make it happen. This leads to us always being on the go, always rushing to that next appointment or doing just one more thing before we stop for the day. 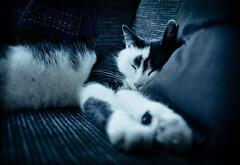 By having such a hectic lifestyle and by not allocating time to relax and unwind properly many of us eventually feel run down and exhausted. Many people even become ill because they don’t relax and give themselves time to cath their breath. People who allow just a little time on a regular basis to unwind and relax tend to find they have more energy, sleep better, enjoy more of their life and have better health generally. Because of this I have created this fast relaxation video. In just 10 minutes you can feel more relaxed, you can go back to a relaxing memory and relive it again. By going back in your memory to this relaxing time you can’t help but feel more relaxed today…right now! Through a hypnotic technique called ‘anchoring’ you can then associate this relaxation with a physical movement, like pressing a finger and thumb together, which can become a shortcut back to that great memory. With this shortcut back to relaxation you can be more relaxed and as a result you can feel better. If you have difficulty relaxing and want some help in unwinding then hypnotherapy in Sheffield with Focused Hypnosis could be the answer. Call now on 01143830123 for a free 20 minute chat. Evan Davis the Radio 4 and Dragon’s Den presenter has revealed that he listens to a hypnotherapy CD every night to ensure he gets a good nights sleep. Because of his presenting work on Radio 4 he is usually awake by 3.30am which means he often has to go to sleep early evening. Many people, such as shift workers, have to do a similar kind of thing. Hypnotherapy is a very commonly used to help people sleep (despite The Telegraph suggesting that hypnotherapy is “unconventional”). Over the years I have helped many people with insomnia or shift workers who need to sleep during the day. Sleep is so necessary and without it we can soon become incapable of focusing or doing work which is obviously a problem if you are interviewing a politician at 7.30am like Evan or being a nurse in a hospital like some of my clients. My name is Richard and I own and run Focused Hypnosis, a top ranked Sheffield hypnotherapy practice. I have helped many people who had insomnia or difficulty staying asleep and I could help you too. Call me now on 01143830123 for a free 20 minute chat. Through hypnosis you can be lulled to sleep. This is often done through visualisations and relaxation techniques that frequently focus on breathing techniques. Many people find sleep eludes them when they find themselves thinking about things (usually work) and this keeps them awake or stops them from sleeping. I often hear people say that they “can’t empty their minds”. This is an unrealistic goal. Many many people are unable to empty their minds. If you have studied meditation for many years you might be able to but for the rest of us it just doesn’t happen. Instead I help people to focus on things that WILL help them sleep. Things like their breathing and occupying their thoughts with something that relaxes and soothes them rather than worries or stresses them. If you have a problem with getting to sleep or staying asleep then call Focused Hypnosis Sheffield on 0114 383 0123. Would You See A Fat Hypnotherapist If You Wanted To Lose Weight? If you talk the talk don’t you have to walk the walk? You go to the doctors because your chest regularly hurts and you are having difficulty breathing. After a check up where you are weighed, measured, stethoscoped and blood pressure is checked the doctor announces that you are overweight and that for the sake of your health you should shed a few stone and that would almost certainly help you to feel better. Sound advice you would have thought. But what if your GP weighs 25 stone and is obviously obese themselves? My name is Richard Hennessy and I run a hypnotherapy practice in Sheffield called Focused Hypnosis where I help people with all sorts of issues from weight loss to stopping smoking, self confidence to phobias. A few months ago I was on a training course to develop my skills further and on that course was a woman who was easily 25 stone. I asked her about her practice and she informed me she was based near Penzance and specialised in helping people to lose weight and she used the Mindband or Hypnoband process. On that same course, I was chatting to a guy who was also a hypnotherapist and part way through our conversation he left and went outside for a cigarette. When he came back I asked him what types of clients he saw on a regular basis. “All the usual types” he said. “People with phobias, weight loss, smokers…” I was a little dumbfounded I must be honest. I was wondering how these people can charge money for doing the job they do and how their clients can go to them, pay their money and in all good faith expect any kind of positive outcome. If I wanted to stop smoking and went to a hypnotherapist and caught them outside their practice having a smoke when I arrived I would turn around and walk away. It seems though that other people don’t have this same thought pattern as me and I was very curious as to why. When I was studying to become a hypnotherapist I was a smoker. I had been for 13 years. As the course progressed it became clear to me that to have any kind of credibility in what I did that I would HAVE to stop smoking. I already wanted to, I had done for years, I just didn’t find the right time or right method to bring about that change in my life. Once I realised that to be a credible hypnotherapist I would have to stop I did. And it was easy. And it was all because I had tapped into a powerful motivator that enabled me to behave in a different way. Now when I see someone to help them stop smoking I can give it everything I have got and know that I am talking the talk and walking the walk. If you have any comments or opinions please post them below, I would love to hear your thoughts on this issue. https://sheffield-hypnosis.co.uk/wp-content/uploads/2012/03/obesity-hypnotherapy-sheffield.jpg 323 372 Richard Hennessy https://sheffield-hypnosis.co.uk/wp-content/uploads/2014/06/focused-hypnosis-logo-340px.png Richard Hennessy2011-06-19 17:49:532018-03-19 15:40:07Would You See A Fat Hypnotherapist If You Wanted To Lose Weight? A report issued today by the The Hypnosis and Psychosomatic Medicine Section of the Royal Society of Medicine (RSM) has recommended that hypnotherapy be used more widely within the NHS. The RSM feel that this would help patients with issues such as weight loss, stopping smoking, IBS and depression. At the moment many issues like this are treated but the potential beneficial outcomes only happen to a small percentage of people and cost a huge amount of money. The RSM report suggests that the positive outcome percentage could be increased and the cost to the NHS could be reduced. As a professional and registered hypnotherapist I welcome this news as it is great for the profile of the industry I work within. The RSM did mention in their report that as a part of hypnotherapy being included more frequently within the NHS ‘toolbox’ that steps should also be taken to ensure that ‘cowboy hypnotherapists’ should be prevented from being recommended by the NHS. This is sound advice. There are very few ‘cowboy hypnotherapists’ out there as a percentage but their effects can be disproportionate. There is also the danger of highly qualified and legitimate hypnotherapists being labelled as ‘cowboys’ by people who didn’t get the results they were hoping for. It is likely that if the NHS does start outsourcing work to hypnotherapists that they would require the hypnotherapist to have an externally awarded qualification such as a HPD (Hypnotherapy Practitioner Diploma) and also be a registered member of one of the leading professional bodies. I hold a HPD and am a member of one of the most recognised professional bodies, the General Hypnotherapy Register (GHR). It is a shame that these changes to the NHS seem to be only being considered to save money rather than becaus eof the strong evidence base that hypnotherapy does work for many people and many issues. That being said though, anything that allows hypnotherapy to gain the recognition it deserves and be applied to help people think, act or feel differently, it can really only be a good thing. Did The Hypnotist REALLY Knock Himself Out? The hypnotist is said by some to have staged the inccident for PR purposes. If this is correct he did a great job and got national media coverage on the back of it. As a hypnotherapist I found some of the coverage of this inccident inaccurate and at times sensationalist. On Radio 4 it was implied that if it wasn’t for Mr. Days coming round in the nick of time then the three hypnotic subjects who were on stage and in a trance could have been stuck in that state. Hypnosis is a very misunderstood field at times and coverage like this can reconfirm people’s prejudices and misconceptions. Just for the record, it is impossible to get stuck in hypnosis. Should your hypnotist or hypnotherapist trip and knock themselves during a session then you will be fine. In time you will awaken naturally with side effects. 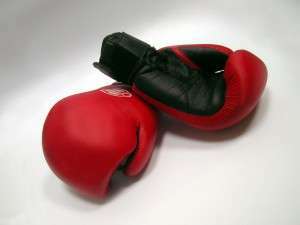 https://sheffield-hypnosis.co.uk/wp-content/uploads/2011/06/boxing-glove-hypnosis-sheffield1-e1328698143150.jpg 225 300 Richard Hennessy https://sheffield-hypnosis.co.uk/wp-content/uploads/2014/06/focused-hypnosis-logo-340px.png Richard Hennessy2011-06-06 18:07:012014-10-30 17:40:21Did The Hypnotist REALLY Knock Himself Out? In Arizona people who are overweight and who do not lose weight after getting medical health advice and support could be fined under a proposed change in the law. The cost for failing to stick to an agreed weight loss programme will be $50 if the bill is passed. People who don’t stop smoking and who have diabetes would also have to pay the fine if they don’t change their ways. If the bill gets passed and proves to be successful it is likely that many other states will follow Arizona’s lead. This is a worrying development. It is quite often the people on the lowest income or with the lowest standards of education who are more disproportionately affected by weight gain, diabeties and are much more likely to be smokers. This fine is basically a poor tax. It is likely that many people who go to their doctor for help in losing weight will be given tablets to help them lose weight or be told to exercise more and to eat less junk but this completely misses the point. This kind of lifestyle is usually something that people know is bad for their health but they have difficulty stopping themselves consciously. As the fine for not sticking to the agreed plan with their doctor is $50 it is the kind of amount that many people will be happy to pay if they can continue to eat what they want when they want. If these same people were given help that is more appropriate to their needs they may have more chance of achieveing their goals. Hypnotherapy is a fantastic way to lose weight and it is natural, effective and often very quick. I have worked with lots of people in Sheffield using hypnotherapy to help them lose weight, stop smoking and for many other issues. Many of these people have found the change they desired has happened naturally and effectively in a safe and controlled way allowing them to change their beliefs or habits. By making this psychological shift they have been able to make a physical difference in their own life. If you would like to discuss with me how this approach might benefit you in your weight loss goals then you can call me on 0114 383 0123 for a free 20 minute chat. Scientists have published findings in the Journal of Obesity which indicate that you can double your chances of reaching your target weight if you get between six and eight hours sleep a night. Any less than this and then there is an increase in stress levels as well as an increase in cravings for unhealthy food. Sleep more than eight hours and you are likely to be inactive. The research found that people were more likely to succeed in losing 10lb or more if their stress levels were lower and if they had a moderate amount of sleep. The research involved participants keeping a diary detailing their food intake, stress levels and sleep patterns. They also took regular exercise, attended counselling sessions and reduced of their diet by 500 calories a day. By sticking to this 60% of participants were able to lose at least 10lb after 6 months. The most successful dieters had between six and eight hours sleep a night and had low stress levels. “This study suggests that when people are trying to lose weight, they should try to get the right amount of sleep and reduce their stress,” said lead author Dr Charles Elder. “Some people may just need to cut back on their schedules and get to bed earlier. 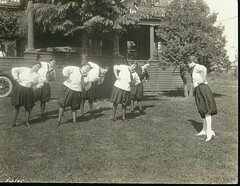 Others may find that exercise can reduce stress and help them sleep. Hypnotherapy can help you to lose weight by changing your relationship with food. Hypnosis can also help you to sleep better and to reduce your response to stress and anxiety. A woman from Gateshead has lost over 4 stone in weight by learning how to give herself hypnotherapy. Fay Laidler enrolled on a hypnosis study course but didn’t finish it but then went on to write her own hypnotic scripts and recorded them onto CD and listened back to them regularly. In the last 18 months she has lost 4 stone and the weight is continuing to steadily drop off. Fay said that she had been on all sorts of diets in the past and was able to lose weight but then put it back on. She says that this yo-yo dieting was no good for her because she was focusing on the food she was eating rather than her lifestyle. The hypnosis scripts she created for herself focus on her lifestyle and as a result she has been able to get the results she wanted and has kept them because now she is thinking and feeling differently whereas in the past she was focusing purely on the calories she was putting into her body. Fay uses visualisations of foreign holidays to relax herself and then visualises herself on that holiday looking how she would like to look in the future rather than focusing on how she does look in the present. This technique is known as future pacing and can be very effective. It is something I offer as part of my weight loss hypnotherapy treatment. I also teach all the people I see for weight loss how to do self hypnosis. This technique is excellent at keeping yourself focused on your actual priority and helping you learn the new thought patterns that will allow you to think and feel healthier. Today is Wednesday 9th March and it is National No Smoking Day. In the news today is the story that the government will announce two ideas which are intended to reduce the number of smokers in the UK. The first idea is to ban displays of tobacco products in shops. This could be brought in as soon as 2012 for large stores and 2015 for smaller shops. The idea is that by removing tobacco from sight it will reduce the brand awareness among children and mean they are less likely to take up the habit of smoking. It is also suggested that ex-smokers who go into a shop will be less tempted to go back on their intention of stopping. Is There A More Effective Way To Quit Smoking? This assumption that anyone who has quit smoking is teetering on the brink of starting again is part of the problem though. While this is true for many ex-smokers it is less so for people who have stopped smoking using hypnotherapy. It is very common for people who have stopped smoking using methods such as nicotine replacement therapy (NRT) and cold turkey to still feel cravings for tobacco. The government backs NRT as a method of stopping but it hardly ever works and those it does work on often still have the thoughts about smoking which is why they are ex-smokers rather than non-smokers. Ex-smokers often have thoughts about smoking because they have done nothing to deal with the psychology behind smoking. If the government was serious about helping people to get off tobacco and stay off it then they would advocate the use of hypnotherapy rather than NRT but they aren’t serious in my opinion because. Will Plain Packs Of Cigarettes Make ANY Difference? The second idea announced by the government is that the want to remove branding from the packets that cigarettes come in. 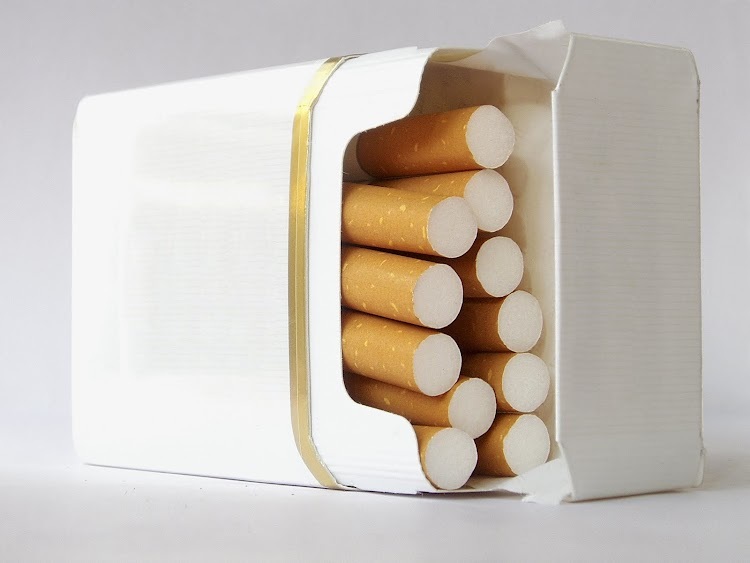 By making the packs plain it is suggested that the health warnings on the packs will have more power and that the contents will be less appealing. The downside is that this would make the packs even easier to counterfit which means many more people could be smoking even more harmful tobacco than they think which would in turn place even more pressure on the NHS as they attempt to deal with the health complications in these people. Do health warnings do ANYTHING to put smokers off? Most smokers I know don’t even look at the health warning and just continue smoking as many as they ever did. Some even smoke MORE because of the warnings. When a smoker gets stressed or anxious they want to smoke and some of the warnings worry me and I have stopped smoking so what must those warnings be doing to the stress levels of current smokers? These potential changes are being looked at carefully by the ConDem government and comes on the heels of the Labour governments smoking ban. A ban which did almost nothing to reduce the number of smokers according to some research. There is doubt as to whether these changes being looked will have any effect either. Does The Government Really Want To Lose It’s Revenue? The government is in a difficult position. They get £10 BILLION a year from the tobacco industry and during these tough times they are loathed to reduce any of their income but they also want to be seen to be doing something to reduce the numbers of smokers and to increase the overall health of the country. Some might say that if they are serious about the changes that they should just ban tobacco but that will not happen because they want the money too much. That means that attempts to help people to stop or not start in the first place will continue but they will be half hearted attempts to bring about change which is what I think these two ideas represent. There is increasing research that shows that going to a gym and pounding away on the running machine will not help you to be slimmer. I know that you may be reading that sentence with your jaw on the floor but for many people, it is a fact but it is one that isn’t talked about much. There is a presupposition among many people that overweight people just need to exercise more and they will be able to burn off calories and lose weight. What many people don’t realise is just how much exercise is needed in order to burn off calories. 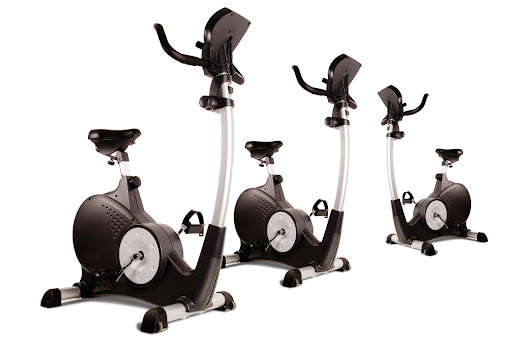 To burn off 2 doughnuts (about 500 calories) you would need to cycle for two hours! To lose one pound of body fat you would need to run from Sheffield to Hull!! For people who make exercise an integral part of an exercise regime and combine it with strict calorie controls and a huge amount of determination and willpower exercise can lead to weight loss. For most people though who want to shed a few extra pounds it makes a lot more sense to restrict what you put into your body in the first place rather than to try and burn it off once it is in there because exercise is not an efficient way to lose weight. A very effective way to regulate and control what food you put into your body is hypnotherapy. Through hypnosis you can break patterns of eating which may have become established when you were a child. If you were ever told to clean your plate because “there are starving children in Africa” or that you weren’t allowed to leave the table until your plate was cleared then weight loss hypnotherapy in Sheffield could help you. Exercise IS a great way to stay active, to get an endorphin rush and to just be healthy but as a weight loss technique, it is very inefficient. No wonder that some people find themselves considering gastric band hypnotherapy or even actual gastric band surgery! Dystonia is a medical term that refers to a range of movement disorders that can lead to a tightening or spasms in muscles. Cervical Dystonia, or Torticollis, is a specific form of dystonia and is a neurological disorder. It causes the tightening of muscles in the neck specifically. There are around 40,000 suffers in the UK but hypnotherapy could relieve some of the symptoms in some cases. Cervical Dystonia causes the muscles in the neck to spasm and as a result the neck can become twisted and the head pulled to the side or backwards. The condition can often have profound effects on the sufferer and can make everyday tasks incredibly difficult or even impossible. As a result of the condition the sufferer can find that they are affected psychologically as well as physically and when these factors combine it can cause the symptoms to worsen over time. For some people hypnotherapy for cervical dystonia has had an effect on some of the symptoms while for others it does not. Stress can often make the symptoms of many mental, physical and neurological conditions even worse. There is quite often large amounts of pain associated with having cervical dystonia. Hypnotherapy could be an appropriate tool for some people to manage stress in their life and hypnotherapy has a good evidence base in the field of pain control. It could be that a well trained and experienced hypnotherapist could help manage some of the experience of pain. Hypnotherapy is often not a cure for these conditions but in some cases it could help to deal with stress or pain associated with the condition and life in general and could help sufferers of a variety of conditions to cope better. Insomnia is a big part of my business at the moment. I am seeing more and more people suffering from insomnia and sleeplessness at my Sheffield hypnotherapy practice. I’m not sure if it is the economy that is to blame or the fact that we are coming up towards Christmas or if the recent turn in the weather is affecting things but I do know it is a big issue for a lot of people. I have a number of highly effective hypnotherapy techniques that I use with these types of clients and I have had some great results but I recently realised that I don’t have all the answers for everyone who comes to see me for insomnia and sleep related issues. I know a lot about the mental factors that contribute to sleep problems but I’m not so hot on the physical side of things. This has lead to a very exciting collaboration between Focused Hypnosis and another Sheffield company. We Love Sleep is based in Sheffield and they approach sleep from a physical perspective. James the owner is highly knowledgeable about all things sleep as he helps people to find the perfect mattress, pillow and duvets. If he doesn’t know the answer then it probably isn’t worth knowing. He runs his business in a different way to the national bed companies. Those types of places work on getting as many people as possible through the door because they work on commission. This means they will often try and sell you the more expensive items even if they aren’t necessarily what you need for a good nights sleep. He will allow you to have a private session at his sleep centre where you can try out his stock so you can find what works best for you. Because James does not work on commission he won’t push you into buying anything but he will share with you his extensive professional knowledge. As a special offer James is also offering a FREE £10 discount voucher to everyone who books an appointment at his Sheffield Sleep Centre. Find more details by clicking here. I am working closely with James because by combining our knowledge and resources we are both now able to offer all our customers a complete sleep solution which addresses their physical and mental requirements in helping them to get the good nights sleep the deserve. Hypnotherapy is a way of accessing your unconscious mind to introduce long desired changes. I have used hypnotherapy at my Sheffield practice to help people quit smoking, be more confident and relaxed or less stressed and worried. As a technique it is becoming increasingly accepted by society and the medical profession. Hypnotherapy was actually accepted as a branch of medicine by the British Medical Association (BMA) in the 1950’s but some GP’s are still dubious about its potential benefits. Thankfully these kinds of attitudes are on the way out as more and more people are experiencing for themselves just how effective it can be. Stress is an area that many hypnotherapists treat on a daily basis. As our modern lives become ever more demanding the numbers of people who don’t feel able to cope with the pressures look for alternative methods to manage. Doug Osborne is a clinical hypnotherapist and runs a course teaching busy professionals the art of stress-free living. You can read more about who he is and what he does in the article I have linked to below. If you can’t make it to see Doug then why not come and see me at my Sheffield hypnotherapy practice? I could help you to reduce your stress levels, increase your optimism and positivity and maybe even change that internal voice so it speaks to you a little more supportively. I’m sure that you know someone who likes to eat chocolate every now and then. You may even be that person. There’s nothing wrong with eating chocolate a couple of times a week…is there?? New research shows that people who eat at least a couple of bars of chocolate a week are more glum than people who only eat chocolate once in a while. The study of 1000 people who had been diagnosed as being in good physical and mental health and not diagnosed with any form of depression. It was discovered that the more chocolate you eat the greater the possibility of being depressed. The research has not been able to pinpoint how chocolate is linked to depression at this moment in time. Chocolate could cause depression or it is possible that people with higher levels of depression are more likely to self medicate with chocolate. Hopefully further research will shed some light on this link. If you suffer from depression or if you eat more chocolate than you would like then hypnotherapy could help. I have seen several people at my Sheffield hypnotherapy practice for these issues and have had some amazing results. At my Sheffield hypnotherapy practice there has definitely been an upsurge in the numbers of people seeing me for stress, anxiety and depression. I am also seeing more doctors, nurses and medical students. This could be due to the enormous pressure being placed on the NHS at the moment or it could be due to the wider problems and uncertainty with the economy. If this trend is similar throughout all job sectors it would account for the increase in work related mental illness (which includes stress and depression). This costs the UK economy £28 billion per year according to The National Institute for Health and Clinical Excellence (NICE). The biggest single cause of this stress in the workplace is bad management techniques. The report found that small things like giving positive feedback when earned, thanking people for staying late and allowing flexible working hours could reduce the £28 billion by over a third. NICE have produced a calculator so employers can discover the potential savings that could be made just through supporting their staff better. I get a monthly email which summarises the latest research on mindfulness which is a kind of meditation. Within the last year or two the size of this email has been getting bigger and bigger as more studies are done into more conditions and how they might be able to reduce or remove symptoms of illnesses. Some of the areas where research has already been conducted is in stress reduction, lowering blood pressure and it is even being used in schools to help pupils to focus, handle confrontation more effectively and to learn more effectively. Mindfulness is another way of saying meditation. Meditation has been misunderstood for many years but it seems as if it is finally emerging from the associations with the 1960’s and the hippy movement and about time many would say. Mindfulness is now being taken seriously by governments, the medical profession and academics. In the book The Mindful Manifesto the history of mindfulness is examined and followed all the way through to the present day and even a little into the future. As the links between mindfulness/meditation and spirituality have weakened it has strengthened its connection with science and now due to all the research being done it is finally taking a hold in the West. In the East mindfulness has been known about for hundreds of years and is common knowledge but the West is only just catching up with the rest of the world. I have experienced the benefits of mindfulness personally. 3 years ago I was suffering from depression and turned to mindfulness to see if I could do something about how I was thinking and feeling. Within a few months of starting to practice the techniques I felt calmer, more in control and less emotional. As I continued to practice the techniques it became easier and easier to be the real me. Nowadays mindfulness is still something I practice from time to time and it still continues to help me to feel good about myself but more often I am telling other people about mindfulness and helping them to tap into its power in combination with hypnotherapy. At my Sheffield hypnotherapy practice I see a wide cross section of people with many different issues or goals. I have witnessed mindfulness help people with stress, anxiety, depression, negative self image, relationship difficulties and smoking and weight loss. If there is something about your thoughts or behaviour that you would like to change then it is possible that hypnotherapy and/or mindfulness could help you in making that change. Lily Allen has revealed that her dramatic weight loss has been due to hypnotherapy. Lily Allen has dropped 2 dress sizes after several sessions of weight loss hypnotherapy. Other celebrities who have used hypnotherapy to lose weight are Geri Halliwell, The Duchess of York and Sophie Dahl. The use of hypnotherapy in weight loss is very popular in America and is becoming popular in The UK too. Using hypnotherapy is is possible to focus on what you really want and to disregard foods which you know are not nutritious and are contributing significantly to weight gain. Hypnotherapy for weight loss can be very effective but it is also a realistic method of changing your diet. It can be very easy to manage your food intake because it works with the body’s natural desires and requirements. There is no naughty list of foods that you must NOT touch, there are no shakes, no onion soup twice a day and no starving yourself. In fact it is possible to eat fish and chips occasionally or a slice of cake once in a while. On their own neither of these things will cause you to put on three stone but they will if you eat them frequently. Hypnotherapy can help you to be aware of the frequency you are eating certain things and help you to remain in control without feeling deprived. Hypnotherapy may be becoming popular in LA and there may be many celebrities doing it but it doesn’t have to have a celebrity price tag. Weight loss hypnotherapy is something that is available in Sheffield and pretty much every other city in the country. If you would like to find out more about hypnotherapy could help you to lose weight call Focused Hypnosis today. For many people just the thought of visiting the dentist fills them with dread. It could be one of many things that causes them the most difficulty. Some hate the sound of the drill, others hate the smell at the dentists while others are afraid of the potential pain and insist on anaesthesia but this comes with a number of unpleasant side effects for many people. Some people though are allergic to the anaesthetic so how do they have dental work done? Hypnotherapy. Some people have a hypersensitive gag reflex or a genuine phobia of the dentists while others have an allergy to local anaesthetics. These people often need a general anaesthetic but an alternative is hypnotherapy. By helping the patient to focus inwardly on their relaxation rather than externally on what is happening around them it is possible to shift perceptions and even to switch off perception of outside events. For those with Tourette’s syndrome life can be pretty tough but research suggests that children and young adults may be able to gain some degree of control over their involuntary tics through self hypnosis. The research is still at a very early stage and no conclusive report has been made yet. The study was reported in the Journal of Developmental & Behavioural Pediatrics and detailed how Tourette’s sufferers were taught to relax through self hypnosis. Through a variety of techniques the participants in the study were shown how to stop the tics before they thought about them happening or to imagine that they could switch them off like a light switch. The early results of the study show potentially dramatic results. 79% of participants experienced “a dramatic increase in their ability to control their tics” and this was after just two to four sessions. Doctors have claimed that the NHS should give patients with depression courses in meditation. This could halve the risk of depression coming back and could save the NHS millions of pounds. The Mental Health Foundation found only 1 in 20 family doctors actually prescribed meditation of any kind. ‘Mindfulness’ therapies which can include hypnotherapy are a much cheaper option than treating the condition with drugs claims Dr Andrew McCulloch, the Mental Health Foundation’s chief executive. He claimed it’s essential to make this treatment as widely available as possible as it would have huge knock-on benefits socially and economically. His report discovered that three-quarters of GPs have prescribed medication to people with long term depression when a different form of treatment would have been more appropriate. After 2 bouts of depression, the risk of relapse is 70% rising to 90% after 3 episodes. Meditation is very closely linked to hypnotherapy. Meditation frequently starts with guided relaxation, focusing on breathing and an awareness of the body. This is exactly how many hypnotherapy sessions also begin. The difference is that with hypnotherapy there are suggestions given for how the client might be able to change their situation or behaviour which addresses their needs directly. As someone who had depression for over 10 years, I find this very welcome news. The number of people with depression in Western society is increasing year on year, particularly among women. Some blame technology, diet, the media or government. Whatever the causes, the way this issue is being treated is not making things any better. Some say the eagerness of the medical profession to throw tablets at the problem could be contributing to the problem. Don’t get me wrong, in some cases, medication can help. In many cases, though medication is the one and the only solution tried by the GP. Hopefully, in 2010, we will see more of the medical profession turning to things like meditation, mindfulness and hypnotherapy first to help their patients to deal with depression and if that proves unsuccessful THEN turning to medication. Whether this change in approach is undertaken because of the NHS becoming more restricted in its budget or whether it is due to greater openness to other techniques on behalf of the medical profession it doesn’t really matter. What does matter is that anyone who has depression is given the best tools, techniques and support available to help them to beat their condition? I see lots of people at my hypnotherapy Sheffield clinic for phobias. Over the years I have had some unusual ones but a fear of roller coasters is one that very few hypnotherapy practitioners have ever treated but there are hundreds or maybe thousands of people in Sheffield who have a phobia of rollercoasters. This suggests that lots of people are not doing anything about this phobia. Many people get excited about a trip to a theme park but this excitement doesn’t apply to everyone. Just the thought of a roller coaster is enough for some people to turn white as a sheet and break out in a cold sweat. Many of these people would like to be able to join in the fun of the theme park but their phobia stops them even thinking about the fun. Well fear not (literally!) because help is at hand. Hypnotherapy is a fantastic way to manage fears and phobias. You could find that your fear of heights, roller coasters or being upside down could be eased significantly in a very short space of time. I regularly help people at my Sheffield hypnosis clinic to overcome their fears and phobias. People find that they can do things they never thought they were capable of. And so could YOU! To have a free chat about hypnotherapy in Sheffield and how it could help you to get over your fear of roller-coasters call Focused Hypnosis on 0114 383 0123. First of all just let me assure you that talking to yourself is NOT the “first sign of going mad”. Everyone talks to themselves. A lot of people aren’t even aware that they are doing it. Your self talk or the things you say to and about yourself can have a massive impact on your stress levels, your anxiety levels, your physical health, your optimism, your happiness and your relationships with other people and the world around you. Self talk can last just a split second and it doesn’t always resemble the kind of talk that you engage in with other people. It can be based on feelings and thoughts and it has a huge influence on your life. If you can tap into the power of self talk you could literally transform your life. Plenty of people when they look in the mirror engage in very negative self talk. They say all sorts of terrible things about themselves. If a stranger in the street came up to these same people and said the same thing they would get a smack or a mouthful back but when we say these things about ourselves we seem to just accept it. This kind of thing is usually delivered at the self in the mirror and is said very emphatically and overly genuinely. If this kind of thing works for you then great, carry on. The problem is this kind of thing just doesn’t work for the majority of people. There is an alternative though. C = Consequence: What are the results of your beliefs? eg. Stress, anxiety, depression, illness. D = Dispute. This is where you argue against your beliefs. eg. “I’m not rubbish at everything, I’m really good at the design part of my job, it’s just the marketing side I sometimes struggle with. I’m really good at golf too so I’m definitely not rubbish at everything. Just because you think something does not mean it is true. The more you are objective about your own life the more likely you will be to enjoy it. If you continue to listen to just one opinion, your own negative internal critic, then don’t be surprised if you start being more negative and down on yourself. If you balance out that negativity with evidence to the contrary then you will have the best chance of being happier, more fulfilled and optimistic. Many of the people I see at my Sheffield hypnotherapy practice have very negative and unsupportive self talk. Through mindfulness and hypnotherapy exercises I help them to think better so they can feel better. I see many people at my Sheffield hypnotherapy clinic who are interested in using hypnotherapy to help them lose weight but how does it have an effect? Most people who want to gain or lose weight are very aware of their internal dialogue regarding food. This internal dialogue can be thought of as a conversation between different parts of your personality. In people who weigh more than they would like I would imagine this kind of internal conversation is quite familiar. I would also imagine that in most cases the first voice is louder and more persuasive than the second voice and this results in unhealthy food being eaten more than it should be. This example is based on what numerous weight loss clients have told me during their consultations. Clients also come to my Sheffield hypnotherapy practice claiming that they eat a fairly healthy diet but they are still unable to decrease their weight to a level that they are happy with. These people often don’t have any idea about portion control or how the speed they eat effects their weight. You could eat a reasonably healthy diet but too much of it. These people often eat too fast which doesn’t give the brain long enough to receive and process the message from the stomach that it is full. This results in people eating way too much and only stopping when they have cleared their plate or physically can’t manage another bit. Hypnotherapy can help that internal voice that looks after your well-being to be louder and more persuasive. It can help to reduce the volume and reduce the power that more unhealthy voice has. Hypnotherapy can help with portion control too. You can become much more aware of what you are putting on your plate. The final area hypnotherapy can help is the speed you eat. If you eat slower and chew your food more it will be much easier for your body to digest and you will be able to savour the taste of the food in your mouth for longer therefore getting more satisfaction from what you eat. In taking longer to eat the body has more time to become aware of when it is naturally full. At this point the hypnotherapy can help yet again and give you the ability to put down your knife and fork whenever you reach this point and end your meal, regardless of how much food is left on your plate. I have helped many people at my Sheffield hypnotherapy practice to lose weight in this way. The weight loss is often slow but steady which means it is healthy weight loss. It is very unhealthy to lose a large amount of weight in a short time and this kind of weight loss is usually temporary. When you get more in touch with your body’s natural rhythms and requirements you can have a much more long term weight loss I often give my clients the example of animals in wildlife documentaries to put into context their diet. Animals never need to go on diets do they? You never see fat animals on wildlife documentaries. The only fat animals you will ever see are ones which humans have domesticated. Wild animals strike a natural balance with their environment and what they eat and as a result they are almost always the same size, proportionally, as other animals in their species Humans are animals also. We have the capability to strike a natural balance between what we put into our bodies and our weight. Many people are familiar with the use of hypnosis on stage for entertainment but there is mounting evidence that hypnotherapy works as a medical treatment. Researchers told the British Science Association that using hypnotherapy people could learn to manage pain better. The study showed that an area of the brain known as the anterior cingulated cortex was altered during hypnotherapy. This part of the brain checks imagination against reality and by observing this area it was possible to confirm if volunteers had achieved and altered state of perception. Peter Naish of the Open University said that “The evidence really, really is there. There are other areas where it will probably come soon. The New Scientist magazine has also reported on the real effects of hypnotherapy. John Gruzelier, a psychologist at Imperial College in London use MRI scans of suggestible people and found that hypnosis had a real and measurable effect on how the brain functions.